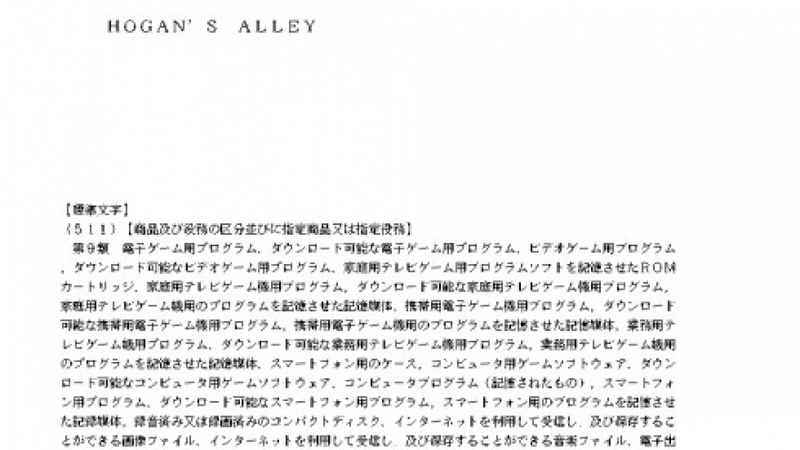 Nintendo Applies For Hogan's Alley Trademark In Japan, Could This NES Classic Make A Comeback? 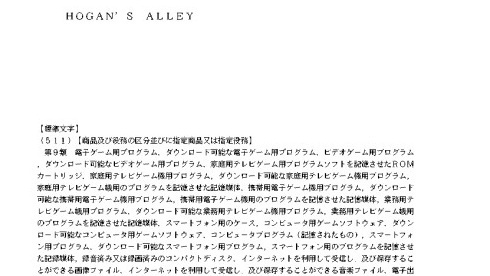 Nintendo has applied for a new Hogan's Alley trademark in Japan, potentially spelling a comeback for the Nintendo Switch. 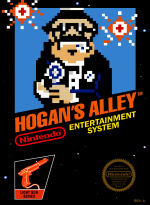 For those not in the know, Hogan's Alley is a NES game that was initially released back in 1984. It was one of the first to use a light gun as an input device, presenting players with cardboard cut-outs of gangsters and innocent civilians. Players had to successfully shoot the bad guys, saving the innocents in the process. The game has also seen cameos in various WarioWare titles and Super Smash Bros. for Wii U and 3DS, with Duck Hunt Duo's final smash causing opponents to get caught in the middle of a shootout between the enemies from Hogan's Alley and Wild Gunman. According to the folks over at Japanese Nintendo, the trademark relates to "purposes including and related to ‘program for home video game machine’". Of course, with the game already being re-released on Wii U a few years back, and with the NES Classic now a thing of the past (just about), this could mean that something linked to the game is brewing for the Switch. Part of the Nintendo Switch Online service, perhaps? As always, though, it's best to keep any excitement over trademark applications in check in case nothing ever comes of it. We'll have to wait and see if any official news regarding the game is released over the coming months. 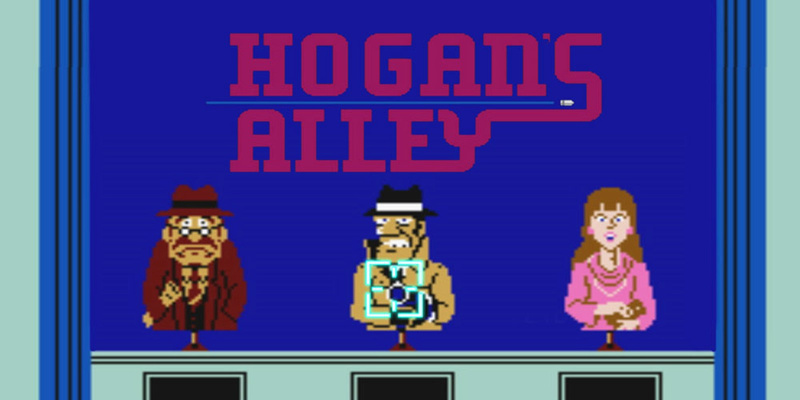 Do you have any memories of Hogan's Alley? Would you like to see the game become available on Switch in some form? Let us know with a comment below. My legs are sore. We need to stop jumping to conclusions every time a company files a trademark for something. I remember this game very well from the launch era. I think Nintendo should rerelease R.O.B. as an HD projector, using his eyes to project the image of the Switch’s screen. @MH4 How many of the many trademark rumours have ever come to fruition? I can't think of any off the top of my head. Wouldnt be impossible to put on Switch, the Joycons can be used like pointers on the TV (If only not as good as a Wiimote) and having the NES Lightgun games on Wii U was nice. @XenoShaun The only trademark coming to fruition fast that I can think of at the moment is when Nintendo filed a trademark for the dual screens that interact with each other. At E3, Nintendo displayed this tech in use via those special Super Mario Party minigames. I want teenage mutant hero turtles for the nes classics and castlevania. Nintendo should just start trademarking the "New Nintendo Full Sized School Bus" or something just to mess with you guys for snooping on their trademarks. I really hope we get more than just NES games... I know they’re classics but SNES games hold up far better. Doshin the Giant was trademarked did that mean anything? no. Eternal Darkness was trademarked did that mean anything? no. my point is, this could be nothing, could be something, could also mean the Switch "Virtual Console" version of this game, could just be protecting their IP. They renew all their trademarks. It would probably affect them chasing down ROM sites if they didn't. But their business is around their IP. Of course they hold on to it. potentially spelling a comeback for the Nintendo Switch. So tired of this. The world does not revolve around the Switch. Probably my favorite of the handful of light gun compatible games. I was a beast at keeping those cans from falling off screen, but pretty awful at not shooting the good guys. @Aven Turtles would be hard to get and Nintendo probably doesn't want to bother. They would have to get rights from Konami and Viacom. Konami is easy, but Viacom is ridiculous. They always want more money than is practical and profitable. @Antraxx777 @MH4 aren’t these patents though, not trademarks? I mean I’m no expert in these things, I just thought patents were ideas/concepts while trademarks were brands/IPs/franchises. And while I remember a few instances of trademarks leading to new games or rereleases, I think Nintendo (and other companies) are just constantly refreshing their trademarks just in case, not with any upcoming projects in mind. @ShadJV That’s true, our examples would be patents. I’m no expert either, so thanks for pointing that out! @ShadJV not sure if they are different. Nintendo had used stuff for that and some of it never end up for public used. @ShadowWarrior Did you know that Nintendo has made other consoles and handhelds in the past? On my desk, hooked up to a second monitor I have a Super Retro Trio Plus (NES/SNES/Genesis with HDMI), a Wii (hooked up via a Component to HDMI box), a Wii U, a Switch and an SNES Classic. Also, plugged in and charging I have a New 3DSXL and in the drawer I have a DS Lite which I use for GBA games. This isn't only a Nintendo Switch site but I am not surprised that you think it is. @Balta666 Yeah could be that. The hype around the idea is generally better than whatever happens in practice. Though the Mario Party thing looks nifty. @Crono1973 I'd be down for sharring my Switch with my brother in America by Jet enging it to him on weekends. @Crono1973 So you're upset that this website focuses primarily on the current Nintendo console/handheld and not older consoles and handhelds that are discontinued or for which support is winding down? Oooooookay. @Donald_M No, I am upset that some people act like the world revolves around the Switch. Just because Nintendo applies for a trademark doesn't mean it's about the Switch. There is still some Nintendo news that has nothing to do with the Switch but when it comes up we see posters saying things like 'I wish this was on the Switch' or 'Maybe this will get a Switch release'. I am upset about the lack of a VC on the Switch but does a conversation about the mini consoles also need to be about the Switch? Every 3DS game, every Wii U game, every game in the world needs to be ported to the Switch. That's how some people think. That's what bothers me. @Crono1973 so you're upset that Nintendo's current hardware is the primary focus of a Nintendo news site and the Nintendo fans that frequent it? Cool, have fun with that. @Donald_M You play down the hype. @Crono1973 Uh huh, sure. Tell me, do you go to other websites and complain that they don't run enough stories about old out of date consoles or is it just this one? I would so play this again if they are able to implement joycon compatibility with it. If it’s just the old Hogans alley then ‘meh’. The original was fine for its time but really limited. Hopefully it’s a new thing. @Crono1973 Maybe there'll be a Labo for it? You'll never know. Oh. My. God. Somehow I never came across this game in all my years as a conscious Nintendo fan, but now that I've seen the screenshot, I got such a vivid flashback playing it when I was about 6 or 7. Such a weird feeling. It's like the memory's been buried somewhere for 20 something years, much deeper than simply "oh I forgot it existed". Like I actually felt for a second the way I felt when I was 7. Hard to explain! @Donald_M Why do you play down the hype for the Switch? How? I thought the reason they haven't brought back any of their shooters yet was due to a lack of a zapper type accessory compatible with flat screen tvs. Love Hogan's Alley btw. It was one of the only few games at Chuck E Cheese and Bullwinkles I could actually score tickets from. Doesn’t Nintendo have to reapply for these trademarks periodically if they are not actively using them? Why is it always news when they reapply for a trademark? Not free when you are paying for the service. It is part of the service. This does not excites me at all. I mean, I’m fine with whatever (online service, NES...) but can’t say is exciting. Even more if we are just talking about the trademark. That’s my honest opinion, glad you have shared yours. Would like to be more like that (easy to excite), though! @Uncensored neither are the free games that ps plus and xbox gold gives lol but at least Nintendo are adding online play For games that came out before online play existed. @Aozz101x well the difference would be (keeping in mind I’m no expert in laws on patents, trademarks, and copyrights), because patents are more for ideas, any patents filed would be things companies (in this case Nintendo) are at least considering to create and sell. On the other hand, trademarks (being franchises and IPs) have to be refreshed so the company can continue to use and protect the IP, and this is a periodic process that’s more like maintenance and doesn’t necessarily represent them creating anything, think of it more as you renewing your subscription to a service rather than purchasing a new product. Now I didn’t delve heavily into the research here so these numbers might be affected by outside variables (and in this case are the ones by US law) but trademarks seem to require renewal every 10 years to remain in effect. Given the number of IPs Nintendo holds by now, they’re likely constantly renewing these IPs and it’s just essentially routine maintenance by their lawyers. On the other hand, patents seem to last 20 years... and are less likely to be worth renewing because, once again, they’re ideas. Nintendo might file a bunch of patents as they work on hardware just in case their concepts get leaked but, for example, while they might have patents related to the NES’s hardware (let’s say ROB), it’s unlikely 20 years later they’d use those designs because they’re outdated anyways and Nintendo tends to use an idea for a gen or so at most then move on. Their IP names they’ll continue to use, even if it’s just to rerelease the ROMs on newer hardware... and there’s little reason not to just habitually renew all them just in case. Even when they want to renew patents, they don’t have to as often. But I don’t really recall any news sites talking about them renewing their patents. It’s their trademarks that always make the news and that seems to rarely mean anything when it’s a simple renewal. @Slim1999 This is bottom of the barrel stuff. Atleast Nintendo is adding online play to 30 year old games. C'mon guys isn't that impressive? Guys? I love Hogan's Alley. Not sure how much actual light gun games are possible for the Switch, but I wish they were. I have a real soft spot for on-the-rails shooters in general and the classic Zapper games in particular. @Tempestryke Actually, they reworked some for the Wii U. But, yeah, if you're playing on the actual retro systems, you need a CRT for Zapper games. @kirbygirl Ah. I see. Thanks for the correction. @Slim1999 I wish there would be some gamecube games on their. Now I'm in the process of modding my wii u into the ultimate gamecube. @Tim_Vreeland That's a shame. I never had it on the nes but completed it on the Commodore 64. @ShadJV yeah, I'm just saying that's the closest I've seen actually used.